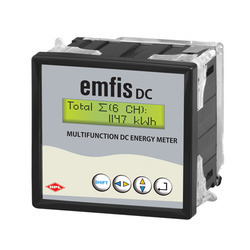 We are leading trader of Multi Function Meters. Displays:- Voltage, Current & Frequency. CT primary can be varied from 5A to 6000A in steps of 5 for -/5A.CT primary can be varied from 1A to 1200A in steps of 1 for -/1A. IP 54 degree of protection. Electrical Panels - Industrial LT Panels. Displays : Voltage, Current, Power, Energy. 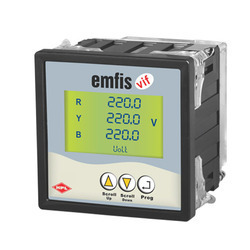 RS485 MODBUS RTU Communication (Optional). Backlight LCD type Display (16 X 2 line Dot Matrix). 6 Months History for kWh, MD kW, Channel Peak Load available on communication. It is used for DC Application. It is used for Telecom Industry.